Facebook’s design guidelines for chatbots are fragmented and spread all over their documentation. I decided to fix that and gather most significant interactions on the single page. 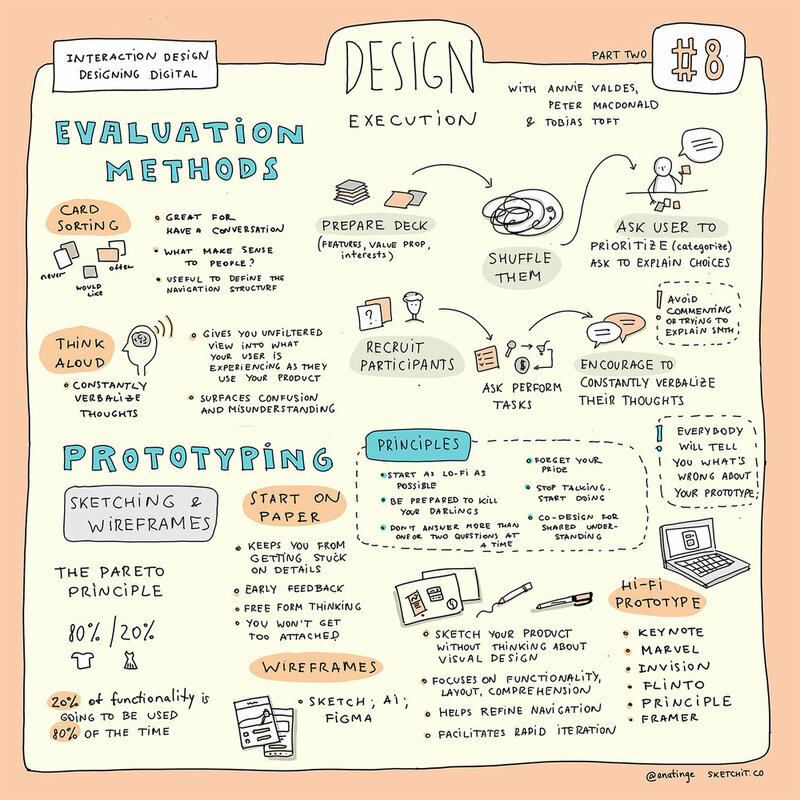 This infographic is handy when you are working on the user experience for your chatbot and want to see all possibilities and limitations of the platform. Check this post on Chatbots Magazine & download the infographic. Writing isn’t really about wording. It’s about thinking. 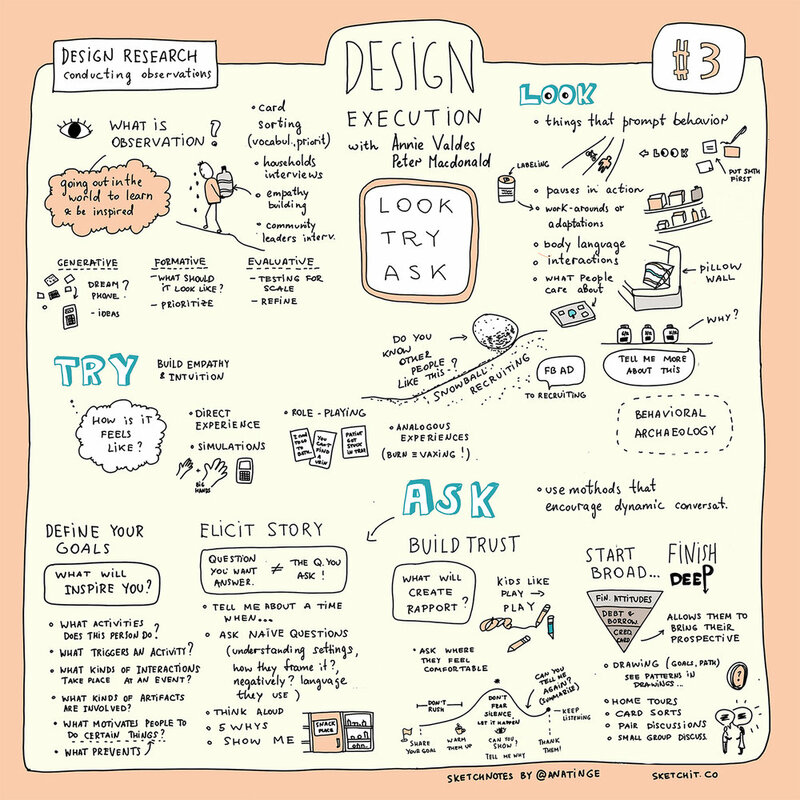 Sketchnotes from this cool article by Sally Kerrigan on overcoming writing blocks. Public speaking is an essential skill for any designer and last year I took several classes in Stanford to master it. 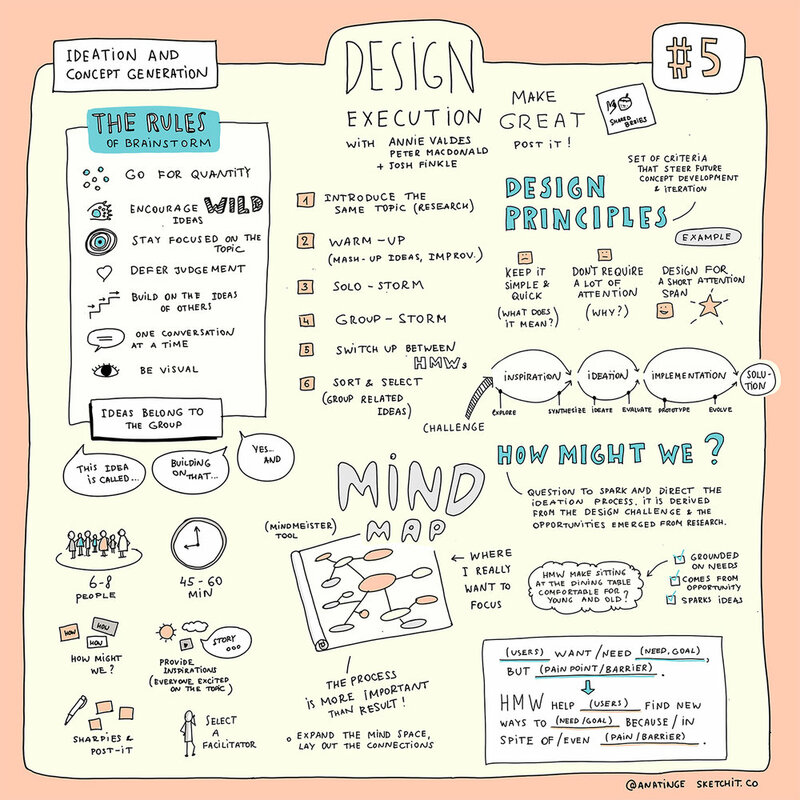 I made visual notes of the whole course by Matt Abrahams, Stanford professor of Graduate School of Business and an author of several books on public speaking. Now my sketches are used during lectures as a supporting material. 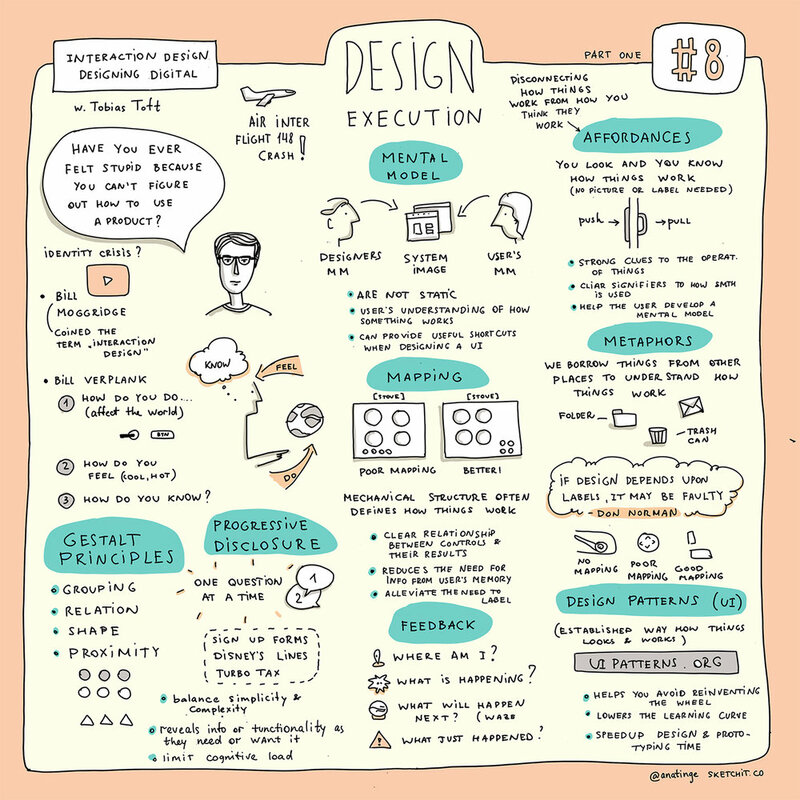 Over the last year I drew all my notes at Stanford class on Design Thinking in a visual way that anyone can understand. 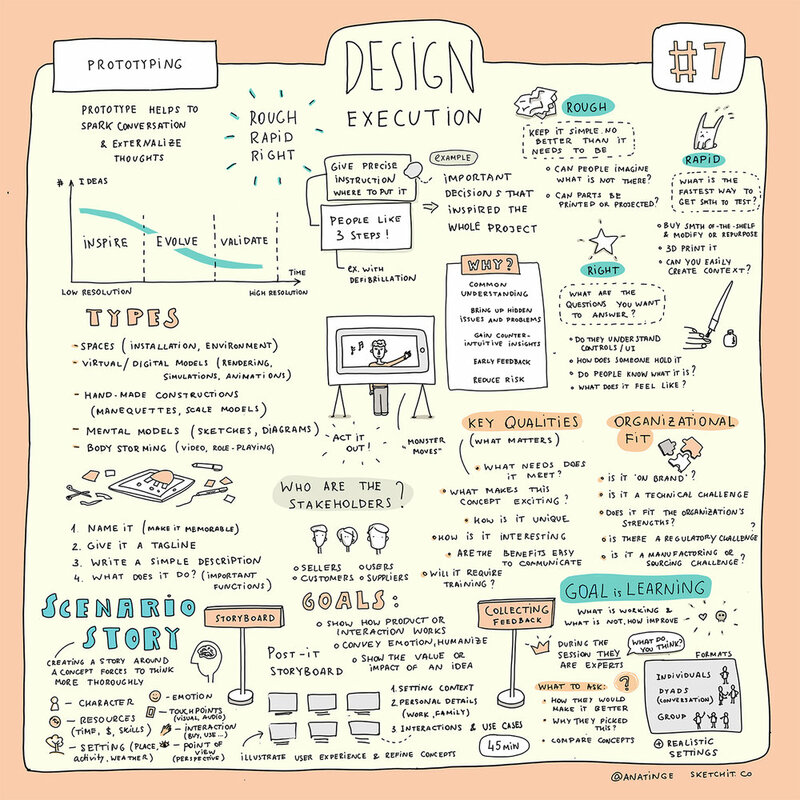 Here you can see the whole course of lectures captured in one fun, visual format that makes it very easy to explain some of the concepts or method of design thinking to a colleague or a friend. 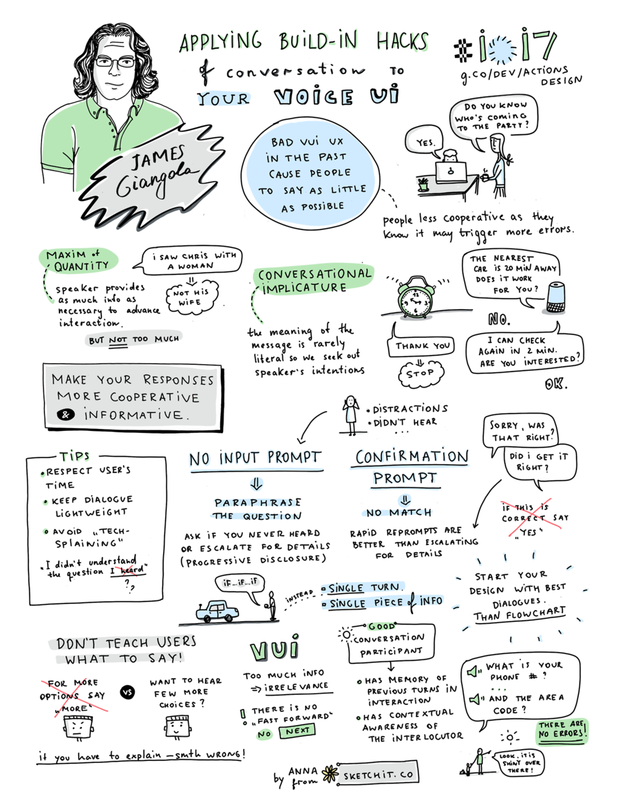 Sketchnotes of James Giangola’s talk on how to design voice interactions. This talk is full of great examples of how boring and inappropriote current voice assistants and the way he would re-design them.